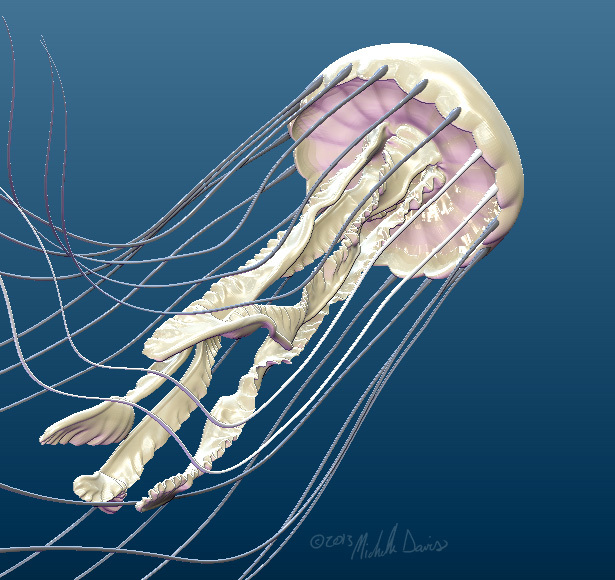 Switching back to animalia instead of human anatomy, below is an Atlantic Sea Nettle, in white. 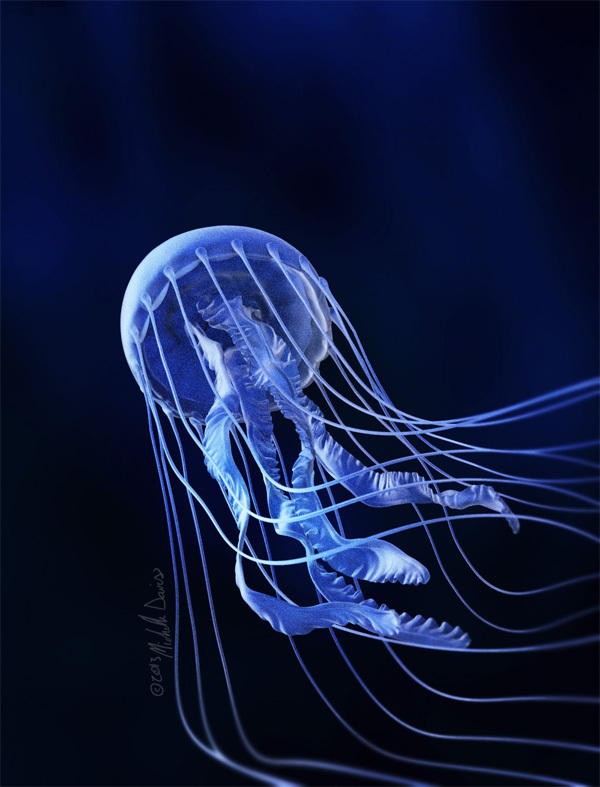 Sea nettle jellyfish exist in a number of species, and even within atlantic sea nettles there seems to be a decent amount of color and tentatalce number, and size variation — everything seems to be more interesting than you think! These are really lovely creatures though, at least visually (they do sting). 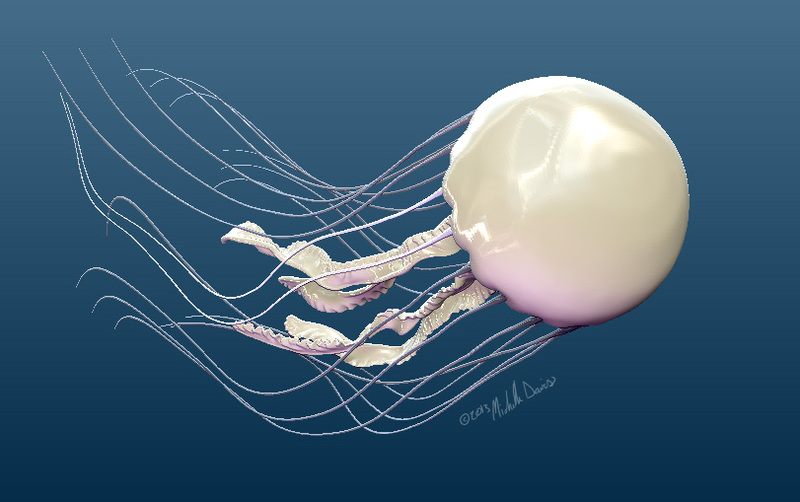 Below is a final render and an overview of the process! 1. Use dynamesh to establish the basic form. 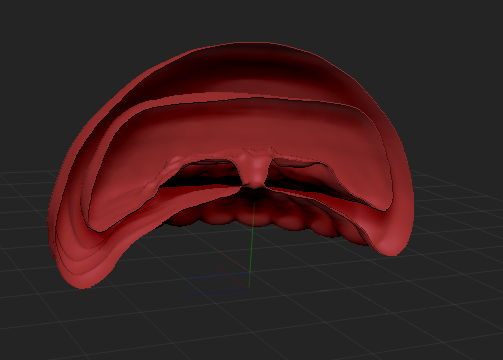 This was more interesting than a blob-like creature would suggest as there were internal layers and details beyond the outer ‘shell’. 3. Add oral arm detail — the spiral brush was huge for this. 4. 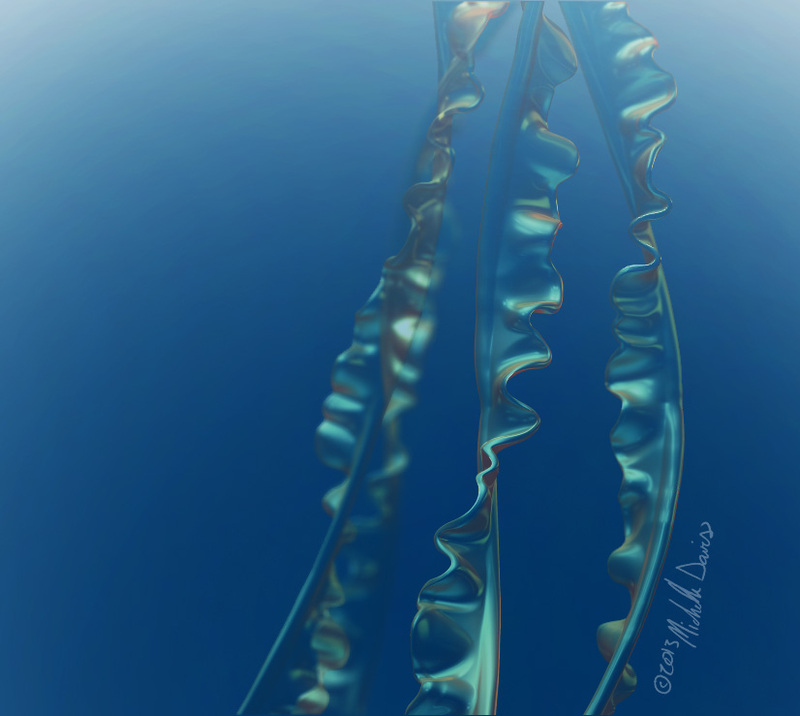 Add tentacles with an insert mesh brush. 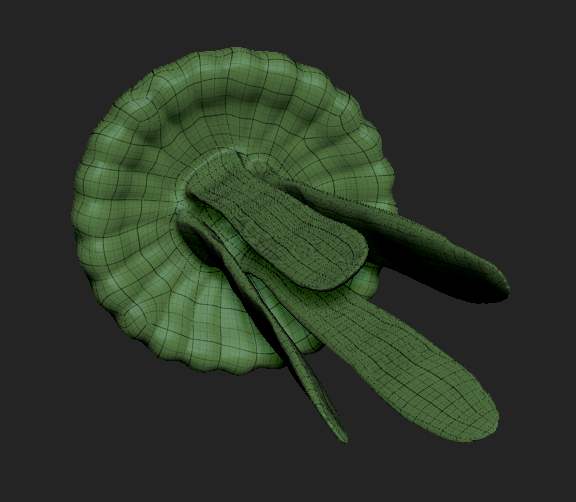 Tried fibermesh first, but ultimately an insert brush gave more control. 4. 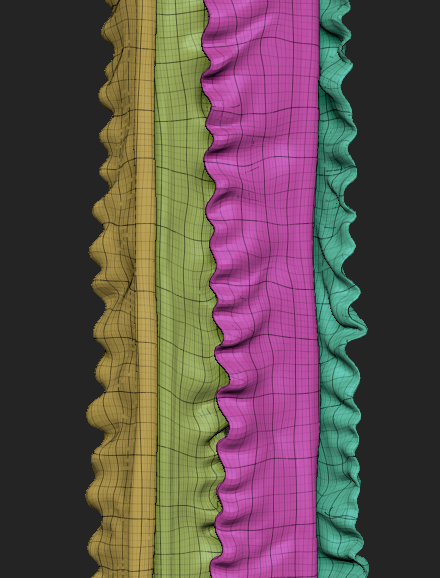 Pose — after exploring a few different ways to do this in Blender (rigging, deformations, soft body/cloth deforming) I actually came back to good ol’ ZBrush, using a lot of large and generalized brush strokes. 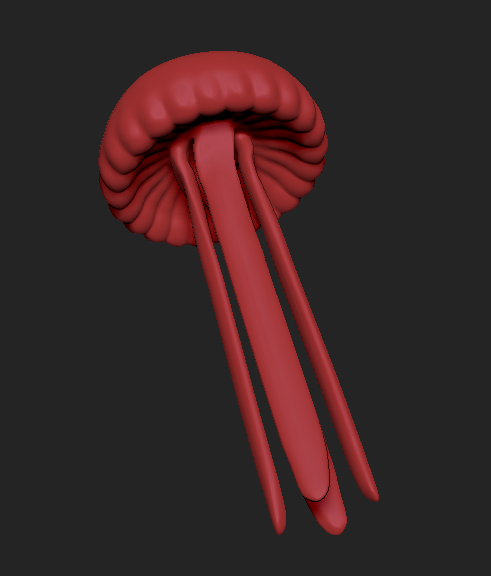 Layes were added to the tentacles and jellyfish body so later I can add or make different poses. Again, the spiral brush was used a lot here.